Kensington, just north of the Berkeley Hills, reminds me of a small east-coast town. It has easy bus access to UC Berkeley and BART stations to San Francisco. I once read that Kensington has most Nobel Laureates and the highest education level of all Bay Area communities and I believe it. J. Robert Oppenheimer, father of the atomic bomb lived in Kensington when he was at UC Berkeley. Some of Kensington’s hidden treasures are the Blake Garden on Rincon Road, Bernard Maybeck’s Wallen Maybeck Home on Purdue, and the Public Paths which transverse the town. 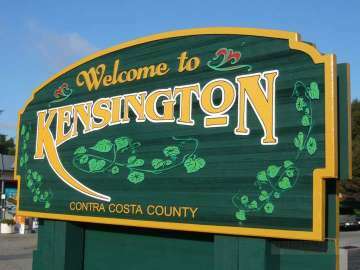 The Colusa Circle shopping district has Colusa Market, Kensington Circus Pub (Guinness and Boddingtons on tap, and live music!) and my favorite farmer is market every Sunday. Semifreddi’s flagship bakery is just up from the circle. Kensington Village on Arlington, just two blocks long, has a nice selection of shops and restaurants. 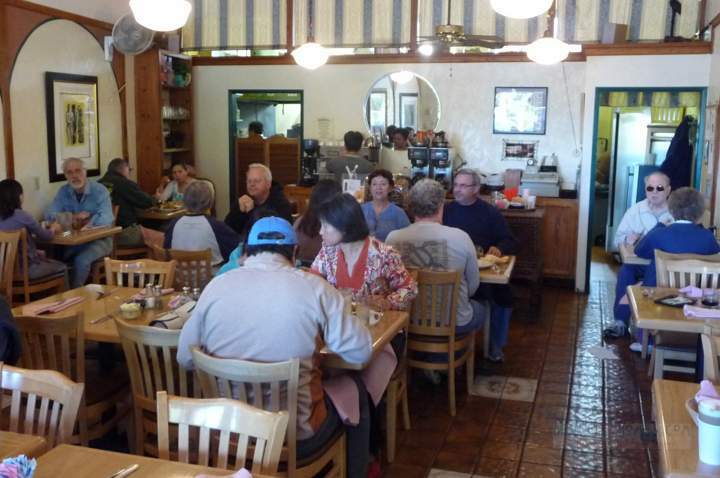 Breakfast at Inn Kensington features delicious omelets, amazing biscuits, and corn cilantro pancakes, Carol’s favorite.. Other shops include Country Cheese and Coffee Market, Mechanics Bank, Young’s Market, and Kensington Hardware. The Chevron Station sponsors a vintage car show every year. Kensington’s Library and Community Center are just up the hill. Hilltop Elementary School has a Halloween Parade and Spring Carnival. There is great community involvement for this highly ranked school. The annual Garden Party is a major fundraiser for the Kensington Education Foundation (KEF) which supports Hilltop is academic programs. Kensington Dads Club carries out spruce up, work parties and special events. The streets between Colusa and Arlington are named after English towns … Lenox, Coventry, and Stratford … which really does intersect with Avon! Many of these homes were built in the 1920s. The streets above Arlington are named after colleges – Amherst, Oberlin, Cambridge, Columbia, Kenyon and most were built in the 1930s-1950s. These have the best views of San Francisco Bay. Want to find out more? 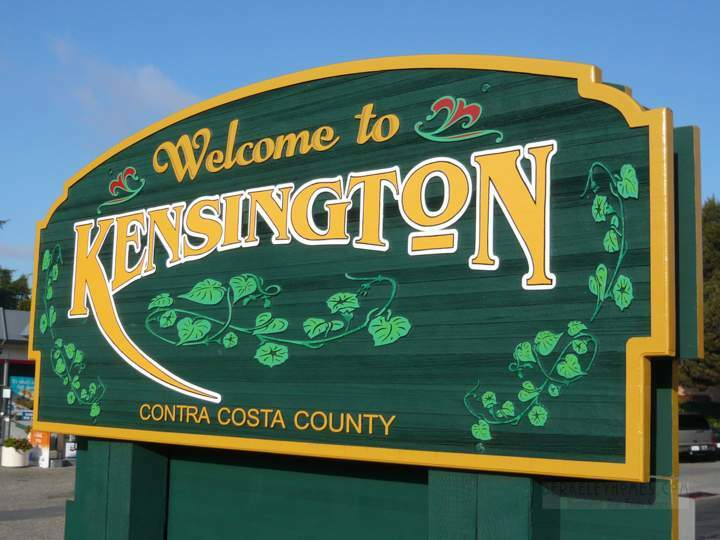 Visit About Kensington and read their local newsletter, The Kensington Outlook. Views, Schools, Parent Involvement and a great pub too!